The book costs £14.99 + £2.80 p&p. The Faculty Press has been long in gestation. Founded in 1948, the Faculty of Astrological Studies has been dedicated to excellence in astrological education for over sixty-five years and has been committed to providing each successive generation with sufficient training to understand the central elements of astrological theory and practice. It has achieved this by developing a rigorous set of courses and examinations, designed to ensure that its prestigious Diploma is gained only by those who are truly dedicated to their astrological studies and craft. Over the years, the Faculty has published a few works, yet, in contrast to this book, these have been of the nature of teaching material, often concerned with the practical skills and techniques of astrological interpretation. What then makes this book so different? We believe this current work is unique amongst the currently available astrology-related publications, for this work is not concerned with techniques or interpretation but addresses the inner experience of the astrological journey. It interweaves the personal reflections of the authors with their specific chapter theme. We might say that Venus had a hand in this book. In the Faculty’s chart, Venus lies retrograde in Cancer in the 8th house. Her gentle, mysterious and deep beauty is turned inward, away from the outside world. To find her you must first penetrate the outer shell – commit to a rigorous process of study and examination. This might make it seem as though enrolling as an astrology student were just like enrolling for any other course. But this is far from the case. Those on the inside of the Faculty, who are part of the Faculty family – our students, tutors, Council, alumni, patrons and friends throughout the international astrological community – well understand both its inner and outer beauty. But there are many who may not quite understand the nature of the subject they are attracted to, and who believe that they can easily gain knowledge and qualifications in astrology just as with more conventional subjects, without substantial inner change. The outside of the Faculty and other astrological schools may speak of rigour, taxing examinations and qualifications but the inner story of astrology, the finding, learning, loving, despairing of it but then falling in love with it over again, and living it, is one that is not so easily captured by a formal educational process. Yet it is there, awaiting discovery, awaiting communication. And so, as Pluto in Capricorn opposed the Faculty’s Venus, the Faculty Council explored and debated the question of how to transform the inner beauty of the journey through astrology into tangible form. This book is the result. We hope you will enjoy its 8th house Venus in Cancer flavour: the joy of finding astrology and its esoteric secrets, of being captivated and bewitched by its numinous archetypal allure, of developing one’s own relationship to its mysterious and sometimes maddeningly irrational components. In this book, the journey through astrology awaits you, the journey that each who is called to deeply enter the heart of this ancient practice must take. The book consists of ten chapters, each written by a different author. The first eight chapters each seek to explore some aspect of the journey through astrology whilst the final two offer reflections on their lives in astrology from two of the world’s most respected astrologers: Darby Costello and Melanie Reinhart. Chapter one explores the initial awakening, that process of becoming acquainted with astrology for the first time, the realisation that one has stumbled upon something of momentous import. This can be a rather jolting experience, as the world around one begins to appear somewhat different and the symbolic mode of perception starts to awaken. Chapters two, three, and four describe the process of learning to interpret astrological symbolism and horoscopes, of grappling with the issue of forecasting, and of really starting to become one’s own astrologer. With chapter five we move to a consideration of the ethics of astrological knowledge and practice, of navigating the perils and pitfalls that could await the budding practitioner. Chapter six goes on to explore how the astrological experience may be shared with another through the medium of a consultation or reading, and the journey that accompanies that sharing. The question of integrating astrology into one’s spiritual journey forms the basis of the richly poetic chapter seven, whilst in chapter eight we consider the realities of astrology’s place in the modern world and how each person who makes the journey through astrology comes to terms with being a citizen of two seemingly discordant worldviews. The joys and sacrifices of a life in astrology are recalled in the final two chapters of the book, as we travel with Darby and Melanie on their own journeys. We have dedicated this book to the student of astrology. It is for all who are journeying through various stages of their astrological lives. In Greek, the name Odysseus can mean both ‘pain’ and ‘the one showing the way’, associated with an arduous wandering or journey. This meditativecollection of short memoirs by ten leading astrologers tells of individual odysseys towards or in the perilous currents of astrology. Yes, pain of sorts (or struggle) will be described by these ‘astro guides’, and there can scarcely be a serious astrologer on the planet who won’t identify with many of the experiences recounted here. I concluded some time ago that there are as many astrologies as there are astrologers, yet we can all agree on one thing, that there are easier and certainly more lucrative ways to live a life. So, what kind of ‘crazy’ people make this odyssey? Well, let’s look at this lot. Melanie Reinhart describes her rage at the tender age of ten in the Bulawayo Public Library as she pored over an astrology book. It was inadequate. She just knew there was more to the subject than described in those pages. Her precocity - she’d already judged against Christian dogma as sole spiritual pathway - seems almost a thing of reincarnation, the mythic old soul back to pick up where she left off. In one of the footnotes to Darby Costello’s beautifully lyrical memoir, she reveals that she consulted a Catholic priest to learn whether astrology might bar her from the Church. He concluded from her description of her work (as guide to self-knowledge for proper exercise of freewill) that it did not. She speculates that a shared understanding of Thomas Aquinas – who identified the ‘wise man’ as one who rules his stars – may have helped shape the priest’s thinking. Costello’s account is rich with purifying self-analysis. At one point, thinking of clients, she wonders: “If I liked someone too much, it may be that my vanity was being activated”. Here is one of the building blocks of potential loving dispassion, essential to the best practice of astrology (in my view). The first eight writers dwell on certain features of astrology, such as ethics (Deborah Morgan), interpretation (Carole Taylor), the ‘call’ (Cat Cox) and astrology’s awkward place in a world of science (Laura Andrikopoulos). The biographical format of each humanises perspective – these are not dry intellectual lectures. 20th century psychology and psychoanalysis pioneers sit easily among classical and mediaeval thinkers and theologians in this forum. Andrikopoulos appears to be no friend of media horoscopes – yes, they can be trivialising and misleading of astrology – yet a number of the other contributors admit that magazine Sun-sign columns were the initial pull towards what would become an all-consuming passion, just as comic books can be the prelude to a taste for high literature. Cox’s account of the “personal reorientation” that follows immersion in astrology encapsulates the profoundly spiritual nature of the vocation. There’s no hiding behind a desk or function or mask. No nine-to-five dissociation. In the Introduction, the editors make plain that the book is a Faculty showcase and that the school’s chart retrograde Venus in Cancer in the 8th house had a hand in driving the book. To find her “gentle, mysterious and deep” beauty (astrology itself), one must commit to rigorous study, to a process of examination, away from the outside world towards the inner of the personal. These ten astro odysseys - redolent perhaps of Odysseus’s ten-year journey after the decade-long Trojan War - can only inspire, reassure, educate, enlighten as well as enthral. Find a lovely quiet place to read this. 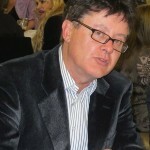 'I was thrilled to read the book' - Brian Clark M.A. The seminal moments that inspire our journey into astrology is what Journey through Astrology is all about. There are 10 chapters each written by a different author and each one is either a past or current tutor with the Faculty of Astrological Studies in the UK. While each author focuses on their own personal relationship with astrology, the chapters build the encounter with astrology from the initial engagement through to interpretation, forecasting, becoming a professional, counselling and the philosophy of astrology. And while the chapters are personal, they are not self-promotional nor biographical, which made it all the more appealing to me. When the book arrived in the post I first looked at the table of contents and noticed Melanie Reinhart had written a chapter (she never told me). In the afternoon of the book’s arrival I immediately read this chapter – it happened to be the last one entitled A Life Astrological. I read it quickly in the time I had, but later that evening I decided to read it again slowly. It was a fabulous account of reflecting on an astrological life and being involved with astrology and astrological ideas for most of her life. We journey with Melanie from Bulawayo to Cape Town to London, through the formative years in spiritual communities in the 70s and the astrological ones in the 80s which paves the way for her work with Chiron, the Centaurs and the spirit of astrology. Chapter 9 was by Darby Costello entitled My Life in Astrology and that too was a captivating read. 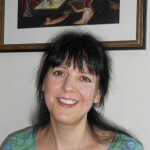 Darby recounts her astrological journey from America to Europe to South Africa and finally to London where Darby settled into her astrological practice as educator and counsellor. Both women are accomplished astrologers, leaders in our field and each one shares her passion, dedication and astrological journey of over 40 years in astrology. Having thought these two chapters were great, I decided to start at the beginning of the book and I am glad I did. The other 8 chapters are written by women, all tutors with the FAS and accomplished astrological teachers and counsellors. And all excellent writers. Each chapter is scholarly in its own way, as there are discussions on mythology, cosmology, imagination, symbols, psychotherapy etc; a rich weaving of discovery and learning. And being an astrologer you will recognise yourself in some of the scenarios and questions. The book has continuity. While each chapter stands on its own, in their own way they build on each other from the initial wakening through to interpretation, negotiating the future, becoming an astrologer, the ethics and experience of astrological practice, and reflections on being involved with astrology in the modern world. Each account is engaging and informative. And having read through each tutor's chapter, I arrived at Darby’s and Melanie’s contributions and re-read them again. I was thrilled to read the book as it has been a long time since an astrological book has been so engaging. It is a testament to the power of the astrological journey and what it offers each one of us. As Cat Cox suggests this astrological journey offers us ‘nothing less than a new relationship with life itself’. 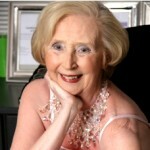 'This wonderful book' - Clare Martin M.A., D.F.Astrol.S. 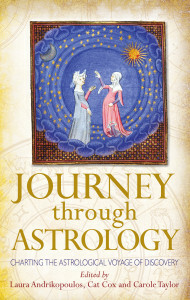 In this book, ten contributors have charted their personal astrological journeys. Each story is written from the heart, with passion and insight, which makes this a fascinating and illuminating read. In the Introduction the editors evoke Venus, retrograde in Cancer in the Faculty’s 8th house, conjunct Mercury, ruler of the Faculty’s Sun, Moon and Uranus. They write that ‘her gentle, mysterious and deep beauty is turned inward, away from the outside world’ but her presence throughout is so strong that I was left with the feeling that this is primarily a book about finding and falling in love with the same great unknown something which the contributors had been searching for all their lives. They write of their profound gratitude for the discovery of the astrological path. No matter how challenging, demanding and isolating at times, they use striking and evocative imagery to describe how, for them, astrology became a life long journey, a deep commitment which changed their lives forever. Although each story is uniquely personal, I suspect that, for readers who have committed themselves to the astrological journey, there will be a strong sense of recognition and resonance. There is the common experience of being pulled into a mysterious enchanting landscape, pregnant with meaning, and the search for, and enduring gratitude towards, the teachers and the books which led the way and opened new horizons. Writing of their lives in astrology, Darby Costello and Melanie Reinhart, both Gemini Suns, write separately about their first encounters with the astrological books which ignited their lifelong passion. There is the profound shift in orientation which occurs when the world becomes participatory and we discover that we are no longer alone. As we are pulled deeper into the truth of things, previously invisible connections are made and we find the courage and the context to embrace life’s pain, joy, paradoxes and contradictions. There is the astrologer’s Mercurial delight in the power and meaning of words – the joy and celebration of the imagination. “Discovery by discovery astrology expands our awareness – a gentle learning curve turns out to be the foothills of a glorious range of mountains” (Polly Wallace, Chapter 4). There is the shared feeling of responsibility, the years of diligence, discipline and rigour, the struggles and joys of following this demanding and challenging path, and the wish to honour our craft and be worthy of serving it. There is an acknowledgement of the awesome responsibility of acting as a transmitter of powerful knowledge – either as a practicing astrologer or as a teacher. And yet, because astrology sets our hearts on fire, there is the recognition that, by simply doing our jobs we demonstrate to our clients and students that their lives hold inherent meaning. As I read this book I sensed the strong presence of the Faculty behind the individual stories, the Venus in Cancer container for everyone involved in this project. Venus is also square Neptune in the 11th house, signifying our astrological community, reuniting each year at the Oxford Summer Schools, where strong bonds and friendships are formed and renewed. The Kabbalist Z’ev ben Shimon Halevi wrote that in spiritual work an individual can only go so far. A School of the Soul belongs to an ancient tradition. It is a link in the great chain of transmission, whose task is to nourish the inner life of each generation. This book is a reminder of the integrity with which those who are currently involved with the Faculty are acting as guardians of our great tradition. It amply demonstrates that the Faculty is in extremely good hands and continuing to evolve. “We are tending a sacred flame which has been passed down to us quietly, between the cupped hands of our teachers, who have received it from their teachers, and in due time pass it on” (Diane Conway, Chapter 7). Congratulations to all at the Faculty who have been involved with the production of this wonderful book. 'A joyful and emotive read' - Karen Parham Ph.D. Journey through Astrology is a compilation of personal stories and reflections on the trials and triumphs experienced by professional astrologers. It isthe first publication from the Faculty of Astrology this side of the millennium. The book’s inception took place when the Faculty’s eighth house Venus was in Cancer opposed by Pluto in Capricorn. It is guaranteed to be a joyful and emotive read that demonstrates the esoteric and transformational powers of astrology. The first eight chapters are contributions from members of the Faculty Council. The cardinal presence of initiatory Aries is evident in Cat Cox’s chapter that sets the scene by recollecting those crucial formative moments in becoming an astrologer. It is inevitable that the reader will also reminisce to when they too first heard of astrology or learned of their sun sign, and for the practising astrologers to their first astrology teacher. Often such beginnings are accompanied by introductions to other complementary practices, such as tarot or natural healing. Slowly the pieces of the holistic puzzle fit together driven by the central tenet: the idea of correspondences. In fact, once the initiate astrologer has tapped into the unconscious their life is guided by, what Carl Jung termed, synchronistic events. The astrologer is able to travel the outer and inner worlds, the conscious and unconscious, and the above and the below. They are able to revert back the pre-Renaissance geo-centric position and identify with and participate in the multi-layered reality functioning here on earth. In a true Mercurial style, Carole Taylor provides an instructive and engaging chapter on ‘The Art of Interpretation’. Basic revision techniques help when becoming acquainted with the associative words and symbols for planets, houses and signs. Being able to construct a meaningful picture from those words and symbols demands an altogether greater level of accomplishment in astrology. Myths, literature and poetry may help to some extent, but practising develops the active imagination and this is the key to unlocking the secrets of the individual chart. To reap the full benefits of the chart, it should be approached as a sacred text and read literally, allegorically, tropologically and anagogically. Carole ends the chapter with a personal anecdote concerning the misspelling of the Faculty’s sign which illustrates clearly the levels of interpretation that are involved when looking at one little incident astrologically. Kim Farley focuses on astrology’s chief reputation among lay people as a divinatory practice and the expectation of clients to have their futures told. Astrologers are placed under immense pressure and often feel insecure with such demands. Kim describes her own experiences and how she has learned to communicate confidently the possibilities, not certainties, that are evident in the birth chart. Astrology is not fatalistic but should be viewed as a means of getting to know yourself better. Polly Wallace’s chapter on ‘Becoming Your Own Astrologer’ provides a helpful complement to Kim’s. Astrologers as well as clients embark on a journey of self-discovery when they learn to become an astrologer, their own astrologer in fact. Every astrologer is different; they each have their own natal chart and their own gifts to bring to the profession. Polly compares the natal chart to the medieval world map, the mappa mundi. The former has the carved-out contours of a person’s physical and spiritual life in the same way as the latter has of the entire world. Deborah Morgan’s chapter on ‘Perils and Pitfalls on the Path: Ethics in Astrological Practice’, addresses the ethical dilemmas that astrologers face. The roles of three archetypal gods are apparent in the relationship between ethics and astrology. Jupiter, who features alongside Mercury in Ovid’s story of Philemon and Baucis, represents the divine nature of moral principles. With the help of Mercury this inner knowing can be expressed to others. In addition, Saturn provides the security for the astrologer, in the form of the Code of Ethics. By engaging with these three gods and their individual qualities, an astrologer will know how to deal with clients and their dubious requests and secretive love affairs. Lindsay Radarmacher in ‘Engaging and Dialoguing with Another Person in an Astrological Consultation’ looks at the dynamic nature of the astrological consultation. Astrologers are primarily magicians rather than therapists, unlocking the secrets hidden in the birth chart. In this respect, astrologers invite a third party, the chart, into the consultation and the symbolic universe it represents. The chapter ends with an stimulating analogy between Martin Buber’s I-Thou and the astrologer’s astrologer-client relationship. In both cases this is a relationship between subject and subject and an experience of participation rather than objective observation. Diane Conway’s chapter on ‘Living an Astrological Philosophy: Astrology as Guide and Spiritual Practice’ adds a wonderful poetic touch to describing the astrological journey. She is able to reveal the inspirational qualities that poetry and prose contains for the astrologer. Poems from Homer’s Iliad and C.S. Lewis’ Prince Caspian can remind the astrologer of their otherworldly connections and their role in keeping this ancient art alive. Laura Andrikopoulos brings a very topical theme to the ancient practice of astrology in ‘Astrology in the Modern World’. The question posed is whether it is possible to be an astrologer in a society where individualism seems to represent an increasingly limiting paradigm for living life. Astrology, having been classified as rejected knowledge by the puritanical strain in academia in the past, presents a further problem for the modern person: its fatalistic aura seems to comprise the freedom and responsibility that is highly prized today. Yet astrology, far from being deterministic, can offer guidance and reassurance within the valued free reign modern men and women feels entitled to. It is for this reason that psychological approaches, particularly with a Jungian flavour, offer renewal to this ancient practice. The final two chapters are by the world-renowned astrologers Darby Costello and Melanie Reinhart. Darby takes the reader through her adventures as an astrologer in various continents and warns how it sometimes pays to be quiet about your astrological interests. Her life seems to have been under the benefic influences of Jupiter as well as Mercury, allowing her to expand her knowledge as she encountered different philosophies and wisdom traditions. Melanie, having led a similarly adventurous life, records her encounters with Chiron and the importance of metalogue. Astrology, in this respect, presents a paradox: things do not always end up as expected and yet deeper down they do. That is beauty of the multi-layered and evolving nature of astrology. Journey through Astrology has left no stone unturned. It covers all the issues astrologers face from difficult clients to social acceptance. One of its many qualities is that it is approachable to experts and amateurs alike. The personal stories offer reassurance to the professional while at the same time providing lessons for the student of astrology. There is an ingenuity in offering varying perspectives from a diversity of authors. It allows for a multi-facetted yet holistic expression of the one art and if we look carefully, we will find each and every sign, planet and house present in one form or another. It has one overarching message and that is that astrology can give positive meaning to your life and for this reason must be kept alive. 'Unique' and 'valuable' - Julia Parker D.F.Astrol.S. This book is unique - written by ten extremely experienced astrologers, who tell the reader how they entered the world of astrology, enlarged theirknowledge of the subject, reached their own conclusions about it, and are using their knowledge to advise and help their clients. So it is likely to interest both readers with a more or less innocent approach to the subject, Faculty students and Diploma holders. It rapidly becomes clear that each writer has enjoyed an individual journey, related to different backgrounds and chosen pathways. There is a strong vein of ‘spirituality’ running through the book, but at the same time it will clearly be of considerable practical help to other astrologers at various stages of their journey, and is full of sound advice. Many of the day-to-day problems confronted by professional astrologers are clearly and thoroughly dealt with, and there is a proper emphasis on the Faculty’s Code of Ethics, which should be as respected as the doctors’ Hippocratic Oath - clients’ dealings with astrologers are as confidential as the Confessional. This is becoming increasingly important due to pressures of the media and the public’s over-fascination with the private lives of public personalities. Throughout the book each individual’s experience is expressed through her specific journey (where, by the way, are the men?) and covers vital themes. 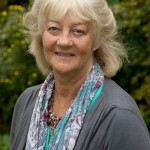 Deborah Morgan’s description of a variety of experiences with clients - which she shares (anonymously, of course) with readers - is helpfully revealing; these are situations the newly qualified astrologer will come across time and time again, and they will be reassured that they are not alone. Laura Andrikopoulos’ Astrology in the Modern World is equally valuable, and I was fascinated by Cat Cox’s relationship with the Pre-Modern Cosmos. However, there is a surprising lack of emphasis on the fact that the Solar system is the very bones of our work and knowledge. Long before the Greeks and Romans created the Gods and Goddesses in their own image, with the vast selection of myths surrounding them, our family of planets shone down upon the primitive world, and observation and interpretation began. Understanding solar system astronomy is important, and not just for the sake of the calculations! Learning about the physicality of the planets, ancient and modern, makes for an inspiring astronomical journey; this is sadly under-emphasised by contributors. Anyone interested in the history of astrology will know that over the centuries there have been many astrological fashions, some of which have left a lasting impression on the subject. These burst forth and exert their power for some years, the best develop and hold a place in the general hierarchy, and because of them we move on. The most notable in my time have been Cosmobiology and Harmonics, together with Astro*Carto*Graphy and the re-emergence of horary astrology. Contributors ignore these, while concentrating on the spiritual aspects of the subject. Balance is lacking here, to the disadvantage of a reader coming to this book among the first s/he reads on the subject. However, this is a fascinating, readable and valuable record of astrology as seen by some of its most valuable current practitioners, and the Faculty is to be congratulated on compiling it. 'Skill and no small measure of poetry' - Mike Harding D.F.Astrol.S. ‘Knowing’ demands a form of articulation, a language that allows us to make sense of the world and ourselves. 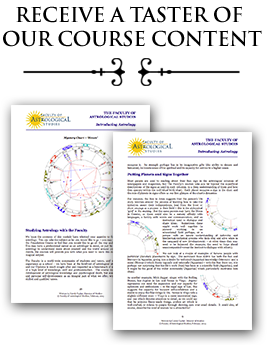 With its focus on where we started astrology marks that place with precision and its unique language allows us to explore the consequences of that moment. It is not an easy language to learn, and most of the contributors include accounts of their early difficulties (which should offer some encouragement for those beginning their own discoveries) as they recount their movement from everyday seeing into a richer world of symbolic affinities. Such journeys are challenging and demand a reappraisal of the conventional Cartesian self, and often the abandonment of earlier certainties. One writer reminds us that ‘change is the only constant’, another suggests that ‘astrology is a journey, not a destination’. This book captures these different initiations into a changing world with many very personal and pertinent observations, together with reflections on some of the philosophical and spiritual issues that the practice of astrology forces us to confront. What are the limits of freedom? How does astrology fare in its collision with modernity, and what might be gleaned from contemporary thought in other areas? The intermixing of the old and the new is a thread that runs through many of the narratives, as does the impact of living and working in different cultures and countries that are explored in the final chapters. The various writers offer many insightful vignettes of client work (together with sessions one might prefer to forget) and of how key ideas from Jungian and Humanistic therapists can aid the professional astrologer. Included is a clear description of how the work of Carl Rogers and Martin Buber can enrich an astrological consultation. 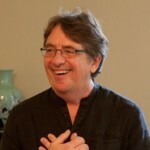 Another contributor explores the important issues of ethics and boundaries – often hard to maintain as the astrological world-view is of itself unbounded, and for many astrologers this also includes that conundrum of ‘reflecting on the future’ – a significant addition to the ‘past-orientated’ models that dominate much conventional counselling. Here the art of forecasting is well discussed, and is later returned to with a candid account of having to fly on a ‘bad Mars day’, a journey which turned out surprisingly well while still expressing the essence of the transit. John Addey once told me that he was similarly anxious about a flight to California, which arrived with Mars exactly on his Uranus. The landing was uneventful, and he was whisked by his host to a restaurant and encouraged to try a dish he had never encountered before – a red snapper. Astrology continues to surprise! Altogether the various chapters demonstrate the thoughtfulness with which the contributors recount their different journeys and explore their chosen topic, and do so with considerable skill and no small measure of poetry. I would have loved to have read a book like this as I was beginning my own studies, when my path was enlightened by such FAS stalwarts as Addey, Hamblin and Harvey. Yes, the FAS has a Mars, too!